The Mk3 80mm ETB electronic tachometer is exceptionally accurate and suits the vast majority of ignition systems. The unit can be switched from 1 to 16 cylinder petrol engines as well as diesel engines (driven via the alternator). 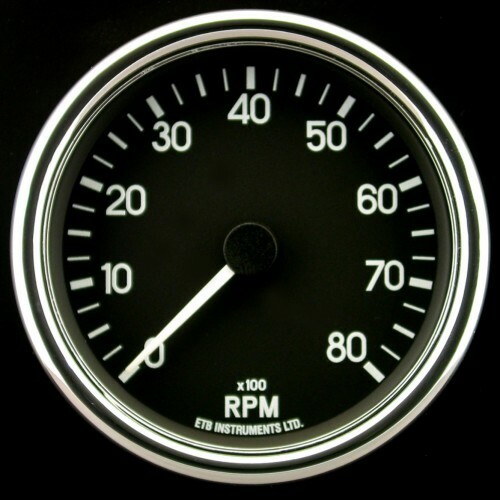 Available in various RPM ranges (as above). 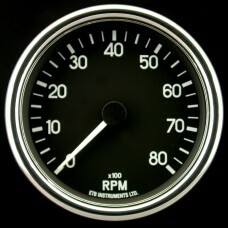 The standard format of the 80mm tachometers is RPM x 100. RPM x 1000 is available at extra cost.